....Zachariah Thompson and Priscilla Albaugh came to Brush Creek or Arlington, Fayette County, Iowa, in 1865, following the lead of sons Samuel and Morris J. who pioneered in the Taylorville/Brush Creek area in 1854. Sons William and Alex would soon remove to Fayette County . 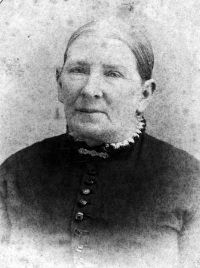 The Thompson's were a true pioneer family in the southeast corner and central part of Fayette County, Iowa, in the early 1850's, and in Harrison/Carroll County, Ohio in the 1820's. All of the other Thompson children would migrate to Fayette County, Iowa, and many descendents would move as pioneer farmers to the west as land opened up in the 1870's through the 1890's. .....Priscilla Albaugh (1805-1879) would meet and marry Zachariah C. Thompson (1796-1880) on January 15, 1822, in New Rumley Twp., Harrison Co., Ohio. The Thompson's were of Scottish background, having immigrated to American as part of the Scotch-Irish movement in the early 1700's. The Thompson Story will be told on another page. Zach Thompson had migrated at the age of 21 from Maryland to Harrison Co., Ohio, in 1817. Zach and Priscilla would farm and have ten children in Harrison Co., Ohio. In 1854, two of their children Samuel and Morris Jackson Thompson would migrate and be very early settlers near Taylorsville, three miles to the N,NW of Brush Creek (later Arlington), Iowa. Brush Creek however, would soon become the dominate village in the area for the Thompson Clan. Other children would also migrate to Brush Creek with their siblings. ....Samuel (my gggrandfather) would die on the way back to Ohio in 1865, perhaps to get the parents, and be buried in Allen Cemetery in Harrison Co. Thus in 1865, Zach C, age 69, and Priscilla, age 60, would buy 120 acres of a government tract on the very southern edge of the tiny pioneer village of Brush Creek (the history of Brush Creek/Arlington is on other pages} and farm their until their deaths fifteen years later. The farm land was tall and wet grass prairie, located to the SE of the Six Corner Intersection at the south edge of Brush Creek. The old Mission Trail from Dubuque to Ft. Atkinson ran on the western edge of their land. Son Morris J. was farming two miles to the west of Brush Creek. Son Samuel had been farming in the Grannis Canyon area six miles to the north, and apparently (my gggrandmother) Samuel's wife Martha Sherman Thompson, with six children (ages 1-10) were still on that farm when Zach and Priscilla arrived from Ohio, in 1865. At least some of Samuel's and Martha's children were taken in by Morris J. Martha would go on the marry M.E. Little, a Brush Creek farmer and cooper a couple of miles NW of town. ....Thus the Thompson/Albuagh Clan connection to Taylorsville, Brush Creek/Arlington, Fayette County, Iowa, began in 1854, with the migration of the sons, and of Zach Caleb I and Priscilla Albaugh Thompson in 1865, and the migration of several other children. Zach and Priscilla, Morris J. Eli, and William. are buried in Groat Cemetery, Arlington, Iowa, along with their spouses and some grandchildren. Many of the grandchildren of Zach and Priscilla continued the pioneer migration to the west, during the last decades of the 1800's. The Clans were true American Pioneers. 1. The relationship to the Ohio area pioneer surnames living in the same general location that removed to Fayette County Iowa in the 1850's. 2. The marriage of Jane Capper to William David Thompson in Carroll County, Ohio and their immigration to Fayette County, Iowa, in the early 1850's as some of the first pioneers into the area. Fayette County and Thompson history is linked above. William David Thompson was the brother of my gggrandfather Samuel Thompson. 3. And the collection of Thompson data on all lines of offspring of Zach C. Thompson I and Priscilla Albaugh, in preparation for the 100th consecutive Thompson reunion to be held in Arlington (formerly Brush Creek), Iowa, the second Sunday in August of 2003. ........ 3  Mary Capper b: June 23, 1778 d: Abt. 1869 in Carroll Co., Ohio Note: Spelling Kail, Cale or Kale. Note: Spelling Kail, Cale or Kale. ........ 3  David Capper b: December 25, 1788 in Hampshire Co., VA d: March 17, 1851 in Killed at the Capper grist Mill, SW 1/4,Sec. 30, Union Twp., Carroll Co., OH Burial: Unknown Carroll Co., Ohio Note: Nineteen children with two wives. Note: Nineteen children with two wives. .................. 5 John II Capper b: October 08, 1832 in Carroll Co., Ohio d: May 07, 1911 Occupation: Farmed in Ohio, in partnership with mother. Note: Bet. 1854 - 1890 Farmed 160 a. near Elgin, Ia Note: Bet. 1854 - 1890 Farmed 160 a. near Elgin, Ia Occupation: Farmed in Ohio, in partnership with mother. 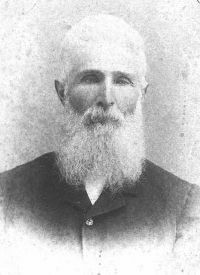 ....................... 6 Thomas John Capper b: February 11, 1857 in Pleasant Valley Twp., Fayette Co., Iowa d: October 16, 1931 Occupation: Early, farmed summer, taught winter. Note: Democrat Note: Democrat Occupation: Early, farmed summer, taught winter. ............................ 7 Frank L. Capper d: Unknown Occupation: Clerk at gen. store in Dike, IA. Occupation: Clerk at gen. store in Dike, IA. .................................. 8 Vernard Cleo Capper b: May 03, 1914 d: June 07, 1941 in Waterloo, Iowa Note: Killed by train. Note: Killed by train. ............................ 7 William G. Cushion b: 1881 d: 1945 Occupation: Calim adjuster for Soo Line RR. Occupation: Calim adjuster for Soo Line RR. ........................... +Frank E. Taylor b: 1864 d: 1930 Occupation: Pure bred livestock. Note: Community builder. Note: Community builder. Occupation: Pure bred livestock. If I am online and you need anything all you need to do for real time talk is to click on the icon above. If offline, leave a message using Human Click or send EMAIL. To Open a Search or Find-a-Word Window, press "Ctrl" and "F" at the same time.